I am staunchly against the willy-nilly use of medication. But when the problems are so serious that the dog is suffering, or just can’t learn anything – including behavioural therapy – it’s time to do something. For the right cases: Based on a behavioural evaluation by a qualified professional, and for the cases that would not respond to behaviour therapy alone and/or where the triggers cannot be avoided and the dog’s welfare is in a crisis. With the owner’s informed consent: With the owners fully briefed about the potential adverse effects (and their likelihood). But it is unethical to scare dog owners away from doing the right thing for their dog because you have a bee in your bonnet against ‘big pharma’ or have a naturopathic agenda. Anecdotes and scare-mongering are not going to help the dogs who so badly need these medications, nor their owners. When it comes to adverse effects, the vets want to prescribe in the Goldie Lock range, in the therapeutic range: high enough for a therapeutic effect but low enough to avoid severe and long-lasting adverse effects. What adverse effects you might encounter should be either mild and transient. If you report serious adverse effects, your vet will need to consider the costs and benefits of this prescription critically and switch to a more appropriate product/dose if need be. Off-label means a human drug not licensed for veterinary use. In Dutch behavioural medicine, Fluoxetine (you might know it as ‘Prozac’) jumps to mind. Fluoxetine has been prescribed by Veterinary Behaviourists the world over for years. It can help pets with a variety of behavioural issues, especially fearful ones. Fluoxetine is an SSRI (Selective Serotonin Reuptake Inhibitor) and it is one of the most frequently prescribed behaviour medication for pets. The word ‘Selective’ is key here. It acts selectively, precisely, on serotonin receptors, thus leaving receptors mediating other bodily functions alone. Fluoxetine is packaged as meat-flavored chew bits and distributed for veterinary use as Reconcile. Unfortunately, it got pulled out of the Dutch veterinary market (it is still distributed in the US). Where Clomicalm is not the first choice, your (Dutch) vet may prescribe off-label if they can show that they followed cascade decision-making: that the off-label drug has benefits unmatched by products currently on the veterinary market. For vets who are familiar with these drugs, prescribing off-label is just a formality. Other vets might be uncomfortable going off-label. This puts you in a tricky situation. Your veterinarian is the person responsible and qualified for making prescription decisions for your pet. But your (qualified, experienced and certified) behaviourist is responsible for the behavioural health of your pet. I resolve this by calling your veterinarian and discussing possible contra-indications for your pet, as well as briefing them on the administrative and safety protocol with the drugs I have in mind. If your veterinarian insists on prescribing ‘behavioural’ medication which makes you uncomfortable (e.g. a sedative), you always have the option of referring your case to the veterinary behaviourist at De Wagenrenk specialist veterinary centre or to the Veterinary Faculty of University of Utrecht’s Behaviour Clinic. So off-label means it has not been tested on dogs? Yes and no. Human drugs are (often) tested on dogs for safety, but not necessarily for effectiveness. Human medication goes through rigorous trials before being put on the market. One such stage is the animal testing stage, which is often done on dogs (as was the case for (human-targeted) Fluoxetine long before Reconcile was developed). As a side note, these dogs are often Beagles and this local organisation organises the re-homing of retired laboratory Beagles. Conclusion: We only get the finer points about the effectivess of off-label drugs through case studies from veterinary behaviourists. The good news is that Fluoxetine, to continue on that example, is one of the most prescribed behaviour drug by Veterinary Behaviourist and its veterinary use is well-documented. But are drugs safe in general? 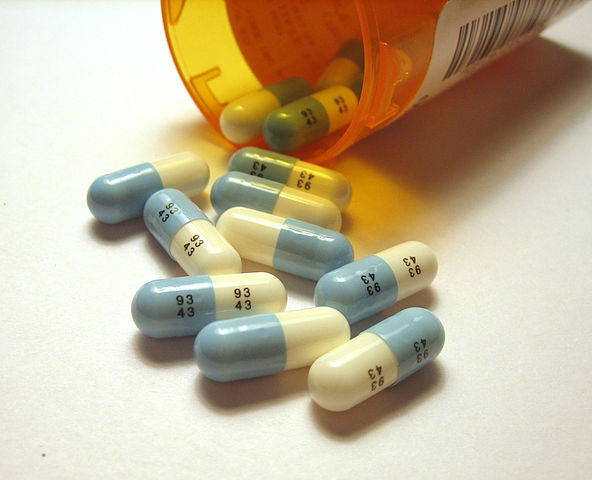 There are concerning issues with drug trials and they are proving very difficult to resolve. It is possible, for example, for a company to bury disappointing – or even worrying adverse effects – results with a drug. They just fail to publish the study and do not bring the drug to market. If you conduct enough trials, the chance exists that the test subjects you picked so happen not to show the adverse effects you saw so much of in your previous trials, and you are free to publish the one successful trial and bury the existence of the 99 unsuccessful ones in a stuffy drawer. If you are interested in a critical and well-informed review of the pharmaceutical industry, I highly recommend that you read Goldacre’s Bad Pharma. Having said that, your vet (and vet behaviourist) swore an oath of non-malevolence (Do – No – Harm). They will be not repeatedly prescribe medication that does not help, or even worse, harms, their patients. So there are no side effects? In pharmacology as in many things, there’s no such thing as a free lunch. If a drug has a positive effect, chance is it will also affect other biological functions. The good news is that the label warns you of the side effects that have been detected and reported, and your veterinarian should brief you. Don’t be scared away, though, remember the oath of non-maleficence? The vet will not deliberately prescribe a drug he/she knows to be fundamentally unsafe. Further these effects are not extremely frequent (not every patient gets them) and should be mild and transient. If they concern you, you should call the vet pronto as severe adverse effects are not the norm and need to be addressed. How long will my pet need the medication? Ideally, as short as possible. 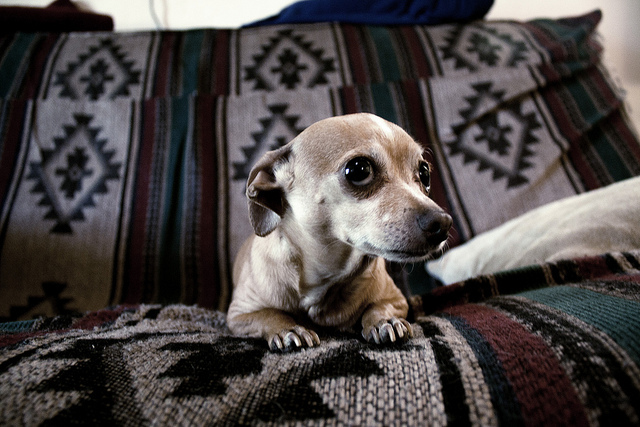 But some pets with chronic or profound mental health conditions take medication for the rest of their lives. Day 0, initial evaluation: We conduct a thorough behaviour evaluation and the conclusion is that the pet is a candidate for psychopharmacology and the owner is comfortable with pursuing that route. Day 1-2 after initial evaluation, briefing between behaviourist and vet: I leave the owner with instructions and tips on how to avoid triggers, and get in touch with the treating vet to discuss options. Day 7 after initial evaluation, test results are back: If the vet is on board, we plan in a blood test to make sure the dog doesn’t have hidden problems that would make the drug unsafe (i.e. contra-indications). It can take about a week to get the test results back. Day 14 after initial evaluation, owner starts medicating the dog: If the vet gives it the all-clear and prescribes, say, Fluoxetine, then the dog should start showing a difference after ten days (i.e. being increasingly able to cope with daily life). 6-8 weeks after initial evaluation: After 4 to 6 weeks of administering the drug, we evaluate progress and see if the combined effect of the medication and avoiding the triggers has relaxed the dog enough so that that we can start exposure therapy for 4 weeks. 13 weeks after initial evaluation, re-evaluation: We check the dog’s progress (under the influence of the training plan and the medication) and, if all goes well, the owner continues training independently from me and continues administering the medication. 6 months after initial evaluation & 3 months into starting with the medication, we start to reduce dosage: If all goes well, the dog has been symptoms-free (or near to this) for about six weeks. Then the owner can get in touch with the veterinarian to start reducing dosage. 9 months after initial evaluation and 6 months after starting to medicate, dog is drug-free: If all went according to plan and the dog’s symptoms did not re-surface with decreased dosages, the dog can be drug-free after about 6 months of medication. The above is an example using Fluoxetine, and assumes the dog responds well to training and the medication. This is not always the case. Some dogs hit a snag along the way and need to be referred to the veterinary behaviourist to explore different behaviour medication. Some dogs fail to show sustained progress when completely without medication, so are maintained at at lower dose life-long. For these dogs, a regular blood check is conducted by the veterinarian to make sure they are coping well with the drug. The parallels with human mental health abound: genuine human psychiatric disorders are no more a question of ‘getting used to it’ and tough love than canine ones. 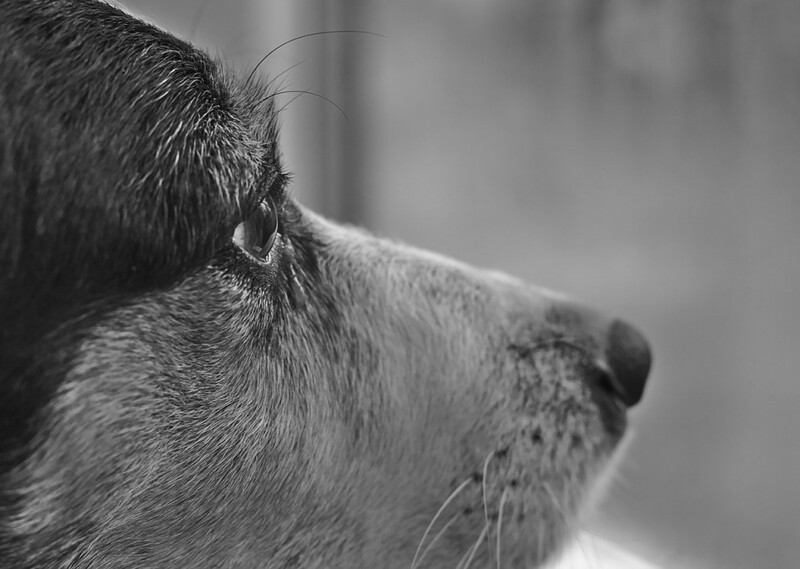 Dogs, much like us, can suffer from mental health conditions that require a combined approach of behaviour/psychological therapy and medication. Recognizing an individual dog might need pharmacological help is not an admission of failure on the part of the (canine) behaviour therapist; no more than a human psychologist is incompetent because he recommends medication. The meds support the behavioural treatment, they do not replace it. Determining whether meds might be indicated is as much part of our job as mastering behaviour modification protocols. Sure it bruises our egos and wallets (referring out often means transferring the whole plan to the vet). But that’s tough luck. We’re big boys and girls and we have to keep an eye on what really matters: the dog. I am the co-founder and head trainer at OhMyDog! (dog training school in The Hague). I also run a behaviour therapy practice at Canis bonus for clients in and around The Hague. I graduated in Zoology, certified as a dog training instructor, and got a postgraduate specialization in applied companion animal behaviour. When I am not training or rehabilitating dogs, I obsessively review dog books and write about dog behaviour for my own blog and other websites. If you’d like some help with your dog’s behaviour in The Hague or region, get in touch. I use evidence-based and force-free methods so your dog gets the best chance of success. Find out more on my training page. The list below are the sources of information I have read/attended to try to stay on top of psychopharmacology. This entry was posted in Dog behaviour and tagged psychopharmacology, veterinary psychopharmacology. Bookmark the permalink. Post a comment or leave a trackback: Trackback URL.